Constantly comforting, carpeting offers up unlimited style and contentment, making it one of our favorite trappings of home. Ever popular, carpeting remains a top-seller in both the residential and commercial sectors. At Primera Carpet One Floor & Home in Prescott Valley we offer up all the latest in fine carpeting and related products- with plenty of beautiful collections in many different styles and price ranges. 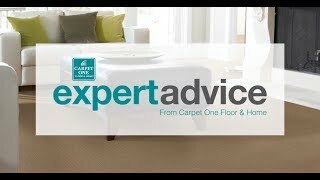 Let’s further explore carpeting and why it’s a smart option for your home or business. Are you dreaming of soft, cushiony floors? Carpeting offers many different attributes, but not all carpets are the same. As you shop for your new carpet, you’ll need to consider its intended location, as well as your functional needs, before making your ultimate selection. Does your room get lots of foot traffic or sun exposure? Are there pets living in your household, or young children? Will your new rug get wet? Carpet pile – or your carpet’s fibers- will determine how your carpeting will wear as the years roll on. For those on tighter budgets, synthetic piles are a great option. Synthetics also tend to be softer: especially durable and hard-wearing nylon and polyester pile. Wool and other natural fibers, on the other hand, have a rougher texture. Wool can be expensive, but it’s a worthy investment for many due to its natural ability to resist moisture, mold, and mildew. Frieze or “shag” carpet pile has a trendy look, with its twisted and unruly yarns. Level loop carpet pile has an eclectic and uniform appearance, with its shortened loops. It works great in rooms prone to heavy foot traffic. Patterned carpet pile has a formal appearance, with pile that’s carefully looped, then trimmed, to form a pattern. Textured carpet pile is quite casual, with its longer, roughened fibers made to last. Plush carpet pile is luxurious to the touch and has a fancier appearance with its velvety fibers. Carpeting brings with it much warmth and comfort. It instantly adds ambiance and texture and is available in every color imaginable. For those wishing to instantly transform their space, there’s really nothing quite like carpeting. At Primera Carpet One Floor & Home, we offer one of Prescott Valley’s most impressive collections of carpeting products. Featuring many of the industry’s best loved carpet brands, as well as some intriguing Carpet One exclusive brands, our family-owned store is part of the nation’s largest cooperative of independently operated flooring stores. Looking for a new carpet? We can offer you competitive pricing and an unmatched selection of products from Shaw, Mohawk, Dixie, Tigressa, Innovia, Lees, and Resista, among others. Visit our showroom, located at 7785 East Highway 69, today. Life gets messy sometimes. While we can’t prevent accidents from happening, we can certainly offer our expert advice on cleaning up…and preventing stains before they happen. We can take you from start to finish when it’s time for your next carpeting project. Our talented product experts and carpet installers will guide you throughout the process, for an end-result you’ll love for years to come.